Cuba and the United States re-established their diplomatic relations on December 17. Image used with permission from the Letra Nueva blog. On December 17, 2014, the governments of Cuba and the United States announced their intention to rebuild diplomatic ties, reestablish trade relations, and reopen lines of communication that have been all but frozen for over 50 years. Cuban bloggers, citizen journalists, and social media users across the political spectrum, living both on the island and in the diaspora, have been debating the impact these measures will have on Cuba. These conversations are many times not reflected in mainstream media. Global Voices authors have taken, and will continue to take, a close look at this conversation. We want to make sure that you – our readers – are listening to Cuban citizens. The U.S. Department of Treasury amended the Cuban Assets Control Regulation on January 16, 2015, to implement policy changes that facilitate authorized travel to Cuba by U.S. citizens, certain authorized commerce, and the flow of information to, from and within Cuba. 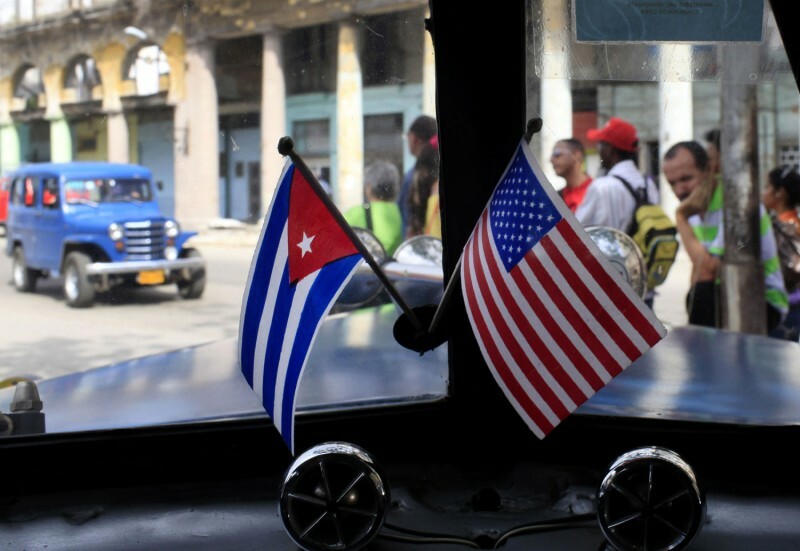 Meanwhile, experts on economic and trade policy from both sides of the Florida Straits have initiated a new series of conversations about US-Cuba relations as they relate to trade, immigration, and even human rights. The news sent shock waves across the island. Some Cubans were overjoyed, while others were skeptical of the intentions behind the reform. Cubans communities in the US, Spain, Germany, and Mexico also expressed a range of responses to the news. In our home in Hanover, my partner Esmeralda and I experienced the gamut of emotions: anticipation, expectation, happiness, uncertainty, tears, euphoria. Much of the impetus for this change in US-Cuba relations hinged on the release of Alan Gross, the USAID subcontractor who was jailed for bringing wireless technology to the island without permission in 2009. Technology has played a significant and controversial role in US-Cuba relations since the mid-2000s, and will unquestionably have a strong impact on their future. Could Cuba become the next Egypt? Cuba has not only been central to Latin American politics, but also a beacon of solidarity among nations in the region. In recent years, Cuba and Venezuela, with Hugo Chavéz at the helm, had strengthened social and economic ties. The US-Cuba reconciliation has fueled questions on the future of these relationships. Along with our friends and families in both countries, Global Voices authors have spent many years meditating on the effects of the embargo on the lives of Cuban families and imagining what life would be like if the policy were to change. This coverage was co-created by Firuzeh Shokooh Ville, our Spanish language editor, Ellery Roberts Biddle, our Advocacy editor and Elaine Diaz, our Cuba author.